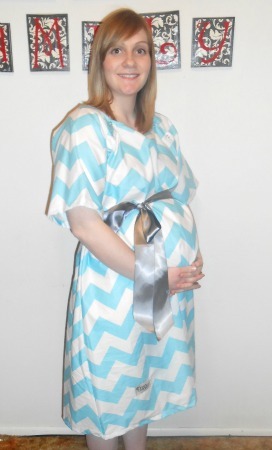 Stylish Maternity hospital gown from Mod Mum - a must have! Many women know the feeling of going to the hospital to have your child, whether it’s your 1st or your 5th, you have the same feeling every time. It’s exhilarating. You are beyond ready. You’re a woman full of emotions: excited, happy, scared, nervous. You get to the hospital and they give you the gown…that’s right, the hospital gown. The dreaded hospital gown that is never too appealing, but you wear it because you have nothing else. I know this picture looks a little funny, but don’t dis on it, it was the only picture I had that you could see even a little bit of the gown I was given to wear. I guess I didn’t like it much since I have no pictures of me in the full gown. Thanks to Mod Mum you are able to have tons of stylish maternity gowns that will make you feel a little better about yourself when you have the baby. You could have a stylish gown like this, and I bet you’d want to take a picture of you in the full gown, because it’s so darn cute. This size chart is for almost all women. I love the sizing chart. It’s informative and lets you know exactly what size to get. They tell you to use your pre-pregnancy dress size. I chose medium and it fits PERFECT! I could of gotten size small, but it would of been a little shorter, so I am glad I went with the medium size. Mod Mum lets you choose the color of sash you want with the gown as well. There are many different color options to choose from; as well as different designs of gowns to choose from. The gown is made to be exactly like the normal hospital gowns. Your doctor or nurse can access anything they need to without having to take your gown off. You don’t have to worry if your hospital will let you wear it because you most likely can. Another great feature about this gown are the buttons at the top of the gown along the breast bone. It is meant for nursing. You can unbutton it all the way down on one side or both sides if you’d like. It opens up a flap and you are able to nurse the baby and then just put the flap back over for when you need to be covered, in case anyone is around. These buttons are also great for when you have the baby and they throw the baby on your chest for skin to skin, you can unbutton these and then cover the baby with the top of your gown. I am going to try and do this my little guy when I have him. I got a cute matching robe as well with my gown. It is a great size, and let me just say I will use this when I’m not pregnant too! 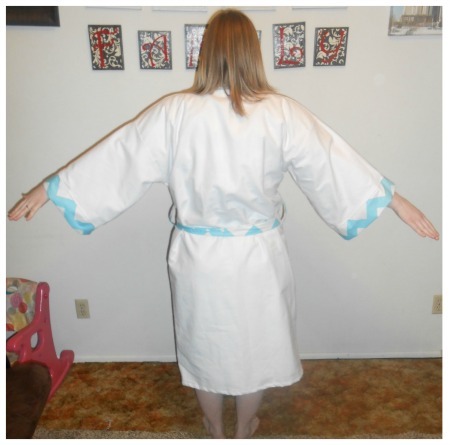 The robe is lovely and elegant, and goes great with the gown! The fabric on the gown is perfect, it’s not too heavy or too light (it isn’t see through). You won’t feel uncomfortable if you have this on all day and are laying in the hospital bed. 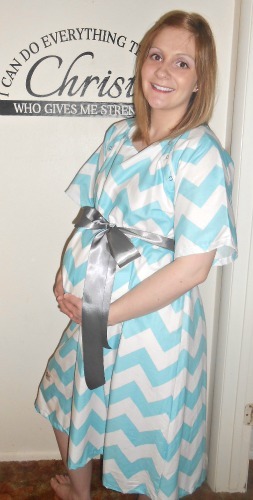 I love my Mod Mum Maternity gown! I am so glad to have gotten it. I would recommend this to anyone. I can’t wait to have it in the hospital and get tons of compliments on my cute gown. You can buy the gown on Mod Mum’s Etsy shop for $59. Mod Mum has agreed to have a giveaway of one Mod Mum Maternity Hospital Gown and Robe for FREE! All you need to do to enter is fill out the Rafflecopter form below! If you have trouble please let us know on our Facebook page. We want everyone to have a chance to win! This giveaway end at 11:59 pm est on 4/1/14. The winner is Naomi Winkel! « Moon Dough play dough! Softest Play Dough EVER! – only 2 ingredients! I’m 21 weeks pregnant on Wednesday. I like the one with a navy sash and the print is navy with blue circles. I love the ryder chevron and the Sadie! All of them are so cute though, it would be hard to pick! The Jenny is so happy looking! I want one so bad. Oct 7th is coming too quick. I love the navy chevon!!! It matches the carseat cover that I’m getting for my son that’s due mid June!!! Love the Jenny one! Or the black Chevron! Or the Jane! Oh I love so many of them!!! Super cute! Super cute gown! I love it! These are GORGEOUS!!! 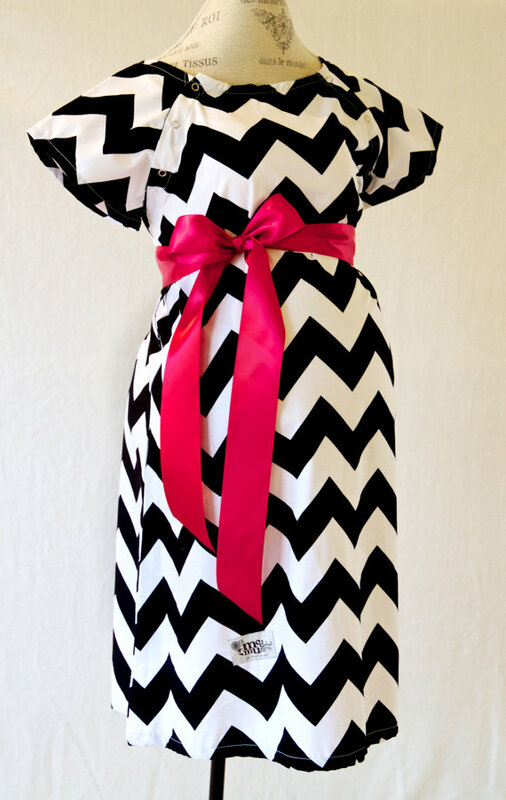 I love the black and white chevron with the hot pink ribbon! Totally my style. I’m due in July and been shopping for a gown.. they are all so hideous in stores!! I’d love the black delivery gown with a baby blue sash. Expecting our first boy August 23,2014. The leopard print Kimono, not sure what the name of it is. I love the Black Chevron! It would be perfect because I don’t know if I will be having a boy or a girl! I like the Sadie. So cute! ADORABLE Gowns!!!! I totally love them!!! I would LOVE the navy sash and navy blue with circles! I would love the Lisa in navy with the matching robe. They are just beautiful.. Love all the options for colors. I’m having my first child a boy and due at the end of August, I would love the Maternity Hospital Delivery Gown in Camden with the match robe and the sash blue. So excited! I’m having my first child a boy and due at the end of August, I would love the Maternity Hospital Delivery Gown in Camden with the match robe and the sash blue. Maternity Kimono Style Robe -Coordinate (if it is in black and white) and Maternity Hospital Delivery Gown in Black nothing can go wrong with black. white chevron with the hot pink ribbon! My niece is pregnant with her first child…this will be given to her if I win. I would choose the Navy Chevron Gown and Matching Robe! It’s gorgeous! I would pick the navy chevron and the matching kimono robe! I love the Mindy gown set pictured above!!! It is beautiful. I love the black and the Rudy but they all are pretty awesome! I really love the Rudy style best, with Jenny being a close second. There are so many good choices! I like the gray or black chevron and the all black one. I would love the Rudy! I can’t decide, they are all so cute. I really like the Victoria set. 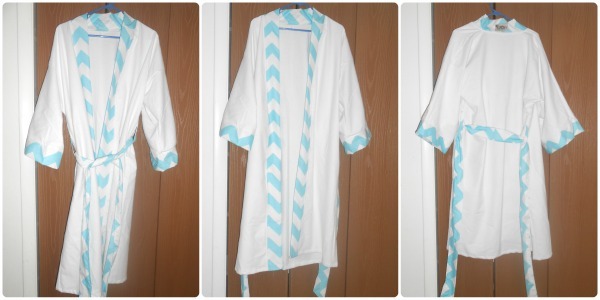 I like that blue chevron! I like Jane, Jenny, and Black Chevron…I always hate the blah colors at the hospital. Though if I win, I’ll be using this as a gift for a former student who is expecting. Id love to get one for my prego best friend. I think she’ll want a pink one. I might choose the Rudy Gown in Lavender and the matching Kimono Robe. I would pick Organic Maternity Hospital Delivery Gown in Harper along with the robe to match 🙂 Having a baby boy in July! I would choose the Victoria print. I like the Victoria robe and gown set. I would love the gown in Lisa. It’s so pretty!!! I love these! 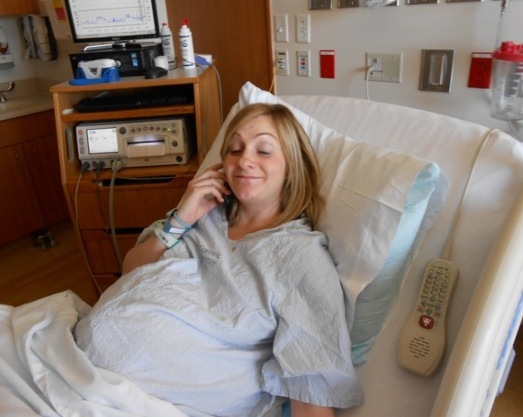 I’m 31 weeks with my little girl, coming in May – it’d be so nice to look cute at the hospital! The jenny is so cute! 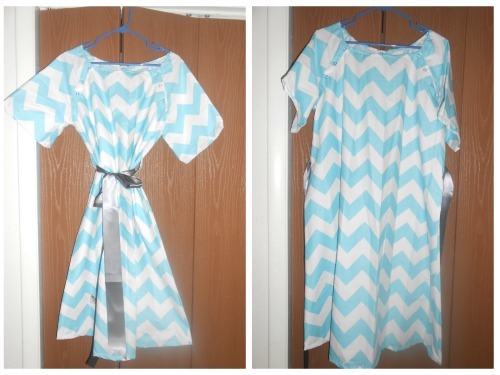 I would choose Amanda or Mira or the dark blue chevron! I would get the Sadie or the Mindy along with the coordinating robe. I like the white Kimono robe in Victoria trim (purple and yellow) with the matching Victoria hospital maternity gown. I think I’d choose Avery. I like the gowns in robe in Lauren or Ava – such a great idea – those hospital gowns are so boring and offer little coverage. I love the Sandy with a dark gray sash, thanks! I would get the navy chevron. Tough,they’re all gorgeous!! I love the Harper,and the Ryder and the black and white chevron! I’d pick Harper,beautiful! I love the Jane one! I rwally appreciate the fact that someone has put thought into such cheerful and stylish gowns for moms in waiting! The options are wonderful…I love the Kimino Style and would love to gift it to my daughter for her upcoming delivery date in June. Its such a special time and one should be dressed to greet the upcoming JOY! Thank you so much for the chance to win!